Prime Minister Stephen Harper filed a motion in court Friday that seeks to have a "frivolous" lawsuit by Helena Guergis dismissed. Prime Minister Stephen Harper filed a motion in court Friday to get Helena Guergis's "frivolous" lawsuit against him dismissed. "The action is frivolous, vexatious and an abuse of process and accordingly should be stayed or dismissed," the court document obtained by CBC News says. The document notes that Guergis filed a complaint against the prime minister with the Canada Human Rights Commission in May 2011, a year after she resigned from cabinet due to the controversy that emerged in April 2010. She lost the complaint and Harper's court motion says she then set out to launch the lawsuit. Harper's motion to strike out the lawsuit comes two days after a similar one filed by his former chief of staff, Guy Giorno, who is also being sued by Guergis. The motion is also on behalf of Labour Minister Lisa Raitt, Conservative MP Shelly Glover and Ray Novak, Harper’s principal secretary, who are all named in Guergis's lawsuit. Guergis's lawsuit, launched in December, makes claims of conspiracy, defamation, misfeasance in public office, negligence and infliction of mental suffering. She is also suing Arthur Hamilton, the Conservative party's lawyer, the Conservative Party of Canada, Hamilton’s law firm Cassels Brock and Blackwell, and Derrick Snowdy, the private investigator who helped kick off the controversy surrounding Guergis and her husband, Rahim Jaffer in April 2010. Harper's motion to have the court dismiss the lawsuit says Guergis's claims are not subject to the judicial process but rather, relate to the exercise of Crown prerogative, and Parliamentary privilege. The court document seeks to debunk Guergis's claims and allegations and says "it is plain and obvious" that her lawsuit "discloses no reasonable cause of action" against the defendants. 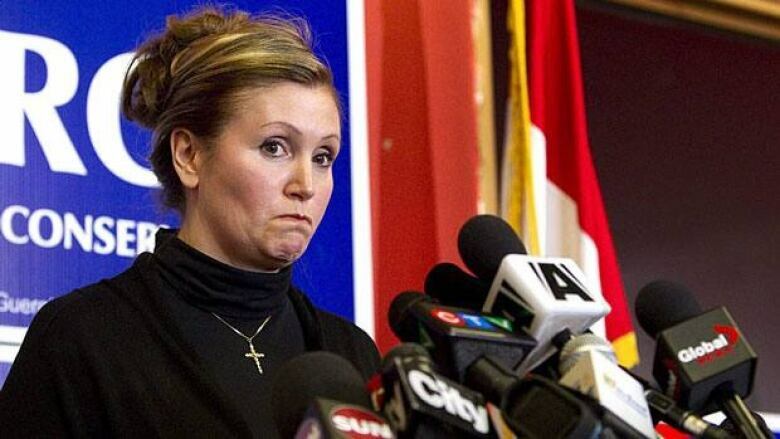 She claims she resigned as the minister of state for the status of women under pressure from Harper and that she shouldn't have been kicked out of the Conservative caucus or prevented from running as a Conservative candidate. Harper argues that decisions about cabinet, caucus and candidates are not legal matters. When Guergis left cabinet she sat as an Independent MP, she ran as an independent candidate in the May 2011 election and lost. Guergis alleges that Harper, Novak and Giorno defamed her in a letter they were involved in sending to the RCMP regarding allegations they were made aware of through Snowdy. Harper says in the motion that the statements were made "by a high officer of the state to another officer of the state," they relate to state matters and are therefore protected by the doctrine of absolute privilege. The letter, sent to former RCMP Commissioner William Elliott on April 9, 2010 by Novak and on behalf of Harper, is included in the court documents. It says Harper's office was made aware of allegations the night before by Snowdy concerning conduct by Guergis and Jaffer. "The allegations are numerous and include fraud, extortion, obtaining benefits by false pretences and involvement in prostitution. The extent of the allegations makes it impossible for me to summarise them completely in this brief letter," it states. "Our office has no first-hand knowledge of these allegations and our office has not communicated directly with Mr. Snowdy," it goes on to say. In her statement of claim, Guergis denies all of the allegations. Novak says he had been informed that Snowdy has evidence to corroborate his allegations and that the information had already been shared with the RCMP and OPP, "but I want to ensure that you are aware of it." The RCMP later cleared Guergis of any wrongdoing. In general, the motion to toss out the lawsuit says Guergis hasn't shown the facts to sustain the allegations made in her lawsuit. For example, she claims Harper and the others intentionally inflicted mental suffering but hasn't provided particulars relating to "any alleged visible and provable illness," the motion says. Guergis is suing for general damages of $800,000 plus punitive damages of $250,000 and aggravated damages of $250,000. Harper's motion says Guergis is trying to relitigate several issues that were already decided by the Canada Human Rights Commission in May 2011. The complaint was dismissed in November 2011 and it determined that "the decision to remove [Guergis] from cabinet was not justiciable as it was made pursuant to a Crown prerogative," according to Harper's court document, and that the decision to remove her from caucus is also not subject to the courts and is protected by Parliamentary privilege. Harper says the lawsuit was only launched after Guergis lost her case against him at the human rights commission and that it is "an abuse of process" to have the case in the courts. The hearing to argue the motions filed by Harper and Giorno is scheduled for September. Guergis's lawyer says he will vigorously defend against the motions.